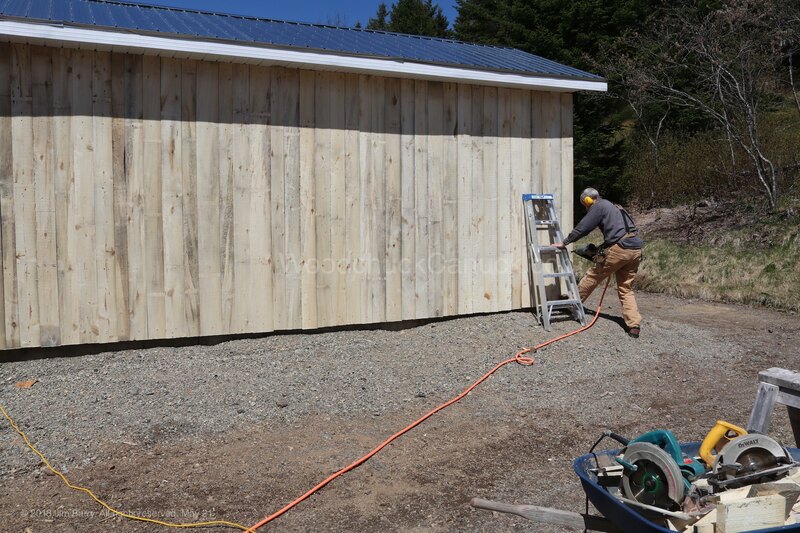 I had to look back through our posts to see when we last worked on the kiln shed. Apparently my memory is not what it used to be. I thought it was just a couple of weeks ago. Turns out, it was back in April when we put the metal roof on. How time flies. With the good weather this week we plan to get the siding started and finished. There I said it. 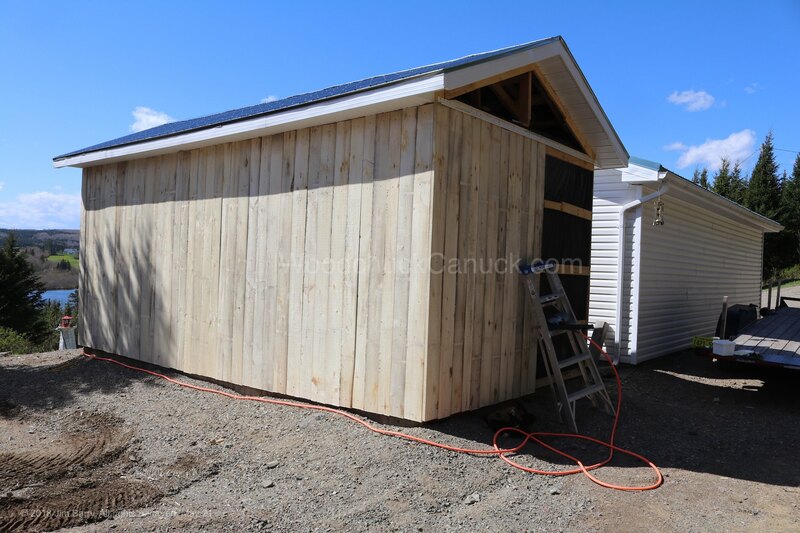 Here is the shed when we last finished working on it. 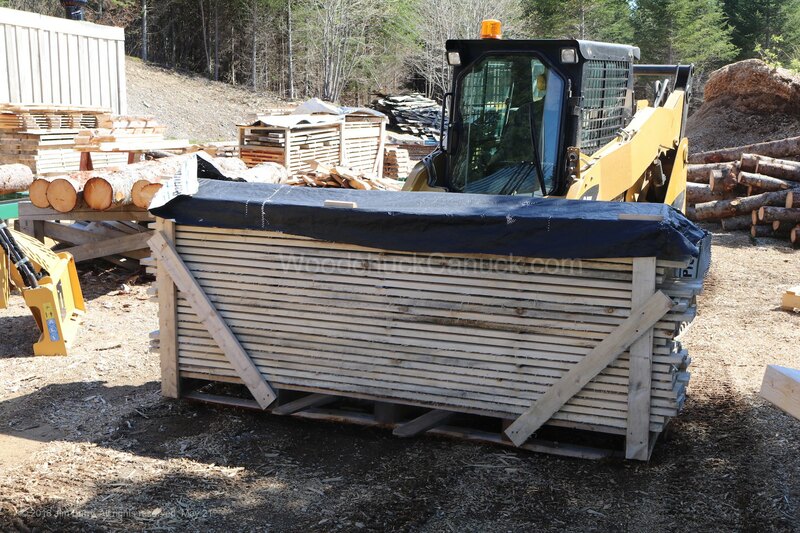 For the siding we are going to use poplar boards we milled last summer. 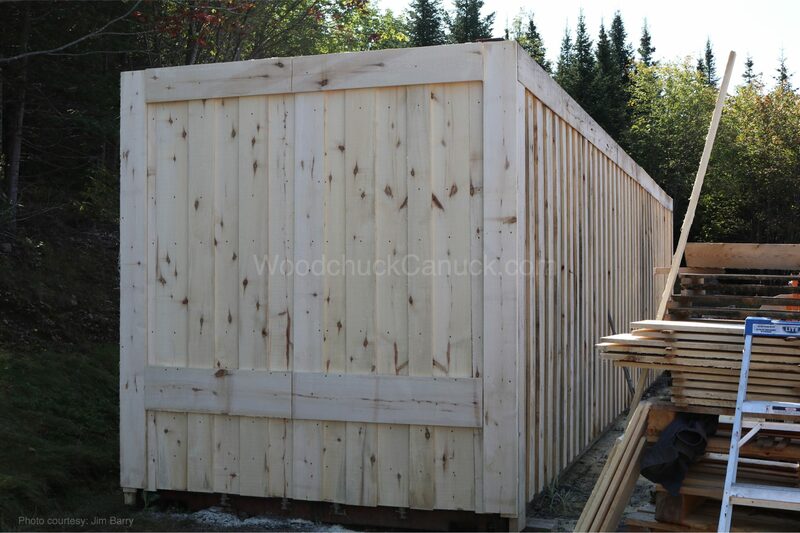 We also used poplar for the board and batten on the shipping container. The boards on the shipping container have weathered over the winter, starting to turn more grey. 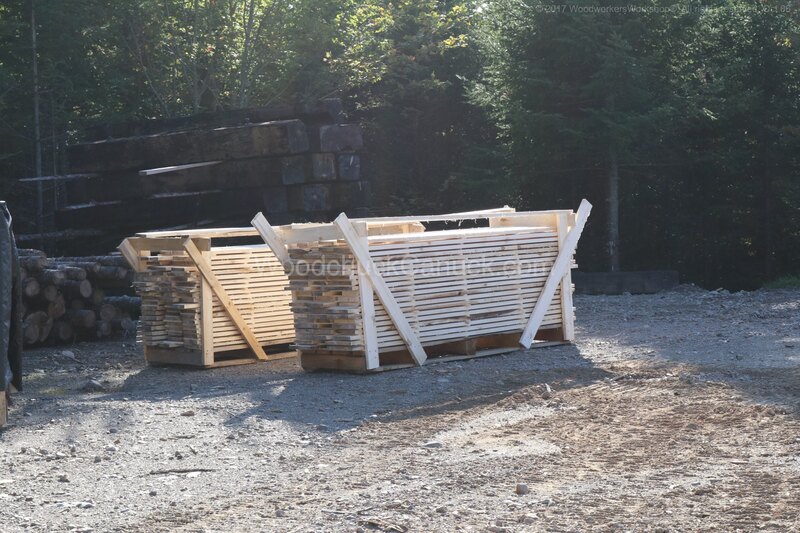 Back to the kiln shed… we didn’t need to start up the skidsteer to haul over a pallet of poplar boards just yet cause we happened to have a stack close by. Once we started we got into a groove. 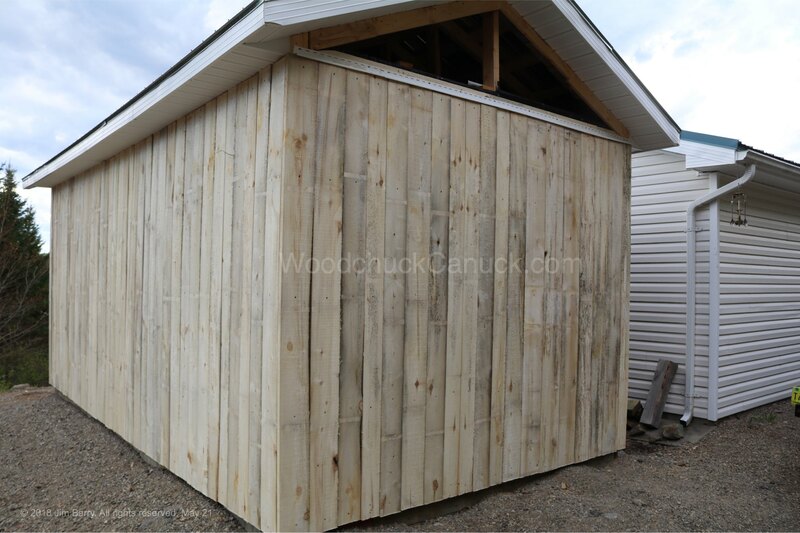 I would lay out 3 or 4 boards on the sawhorses and Jim would square up the first end of each board. 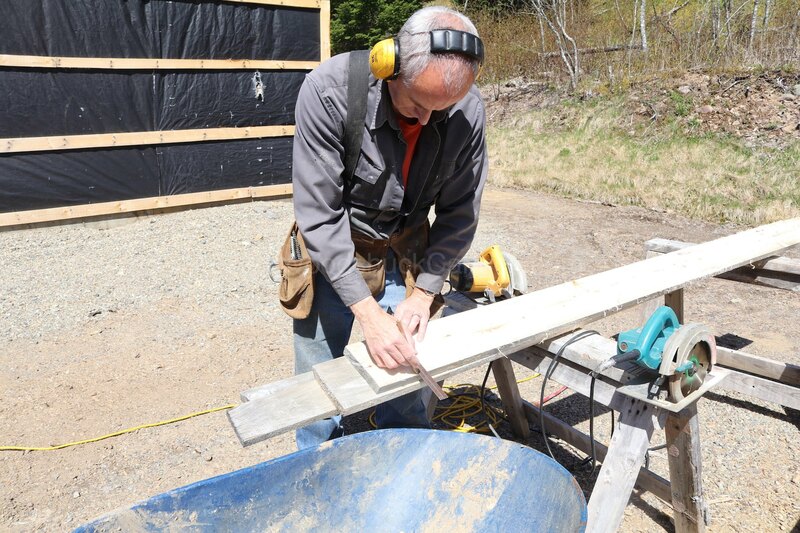 I flipped the boards around and Jim measured them to length, and made the second cut. The bottom of the boards are being cut on an angle incase any moisture gets in behind, it will drip off easier. 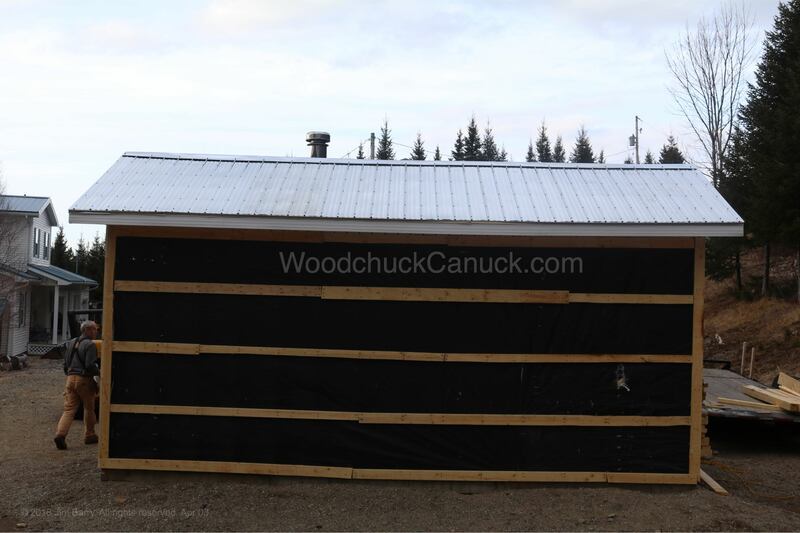 Since these boards have dried for a year we aren’t adding battens like we did with the shipping container. Just straight siding with the boards placed right next to each other. There shouldn’t be much, if any, shrinkage. It was late the first afternoon we started working on it, then a neighbour dropped by. The rest of the afternoon was shot. …then proceeded around the corner. Now. We had a decision to make. The short end is a gable end. (I knew you knew that) Either stager the boards from the roof line to the bottom, or continue the line from the long side across the back. We decided to go with plan B. 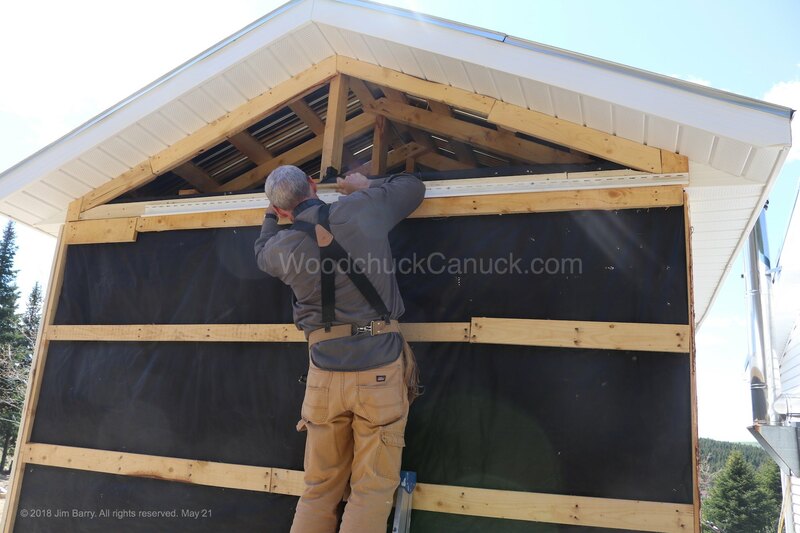 We wanted to create a drip edge between the gable boards and the wall boards. Jim disappeared into the workshop and came back with the perfect pieces. Something you may or may not know about Jim, he doesn’t throw anything away. I mean NOTHING. Here is a perfect example. These pieces are from when our house was built 11 years ago. That means, for 11 years he has been holding on to these waiting for the perfect time to put them to use. With the drip edge in place we started working on the wall boards. We got this far when we finished the first pallet of boards. Jim got the skidsteer out and put the forks on to bring over another pallet of wood. 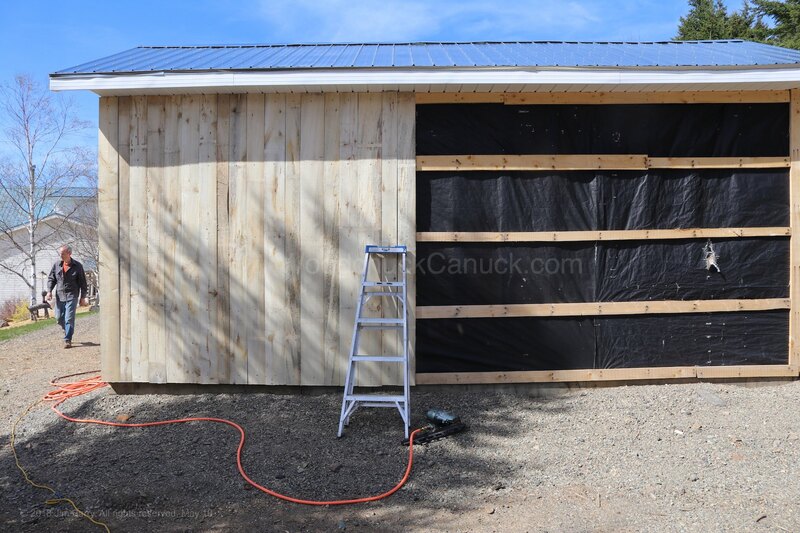 We managed to get the short wall finished up in the second afternoon. 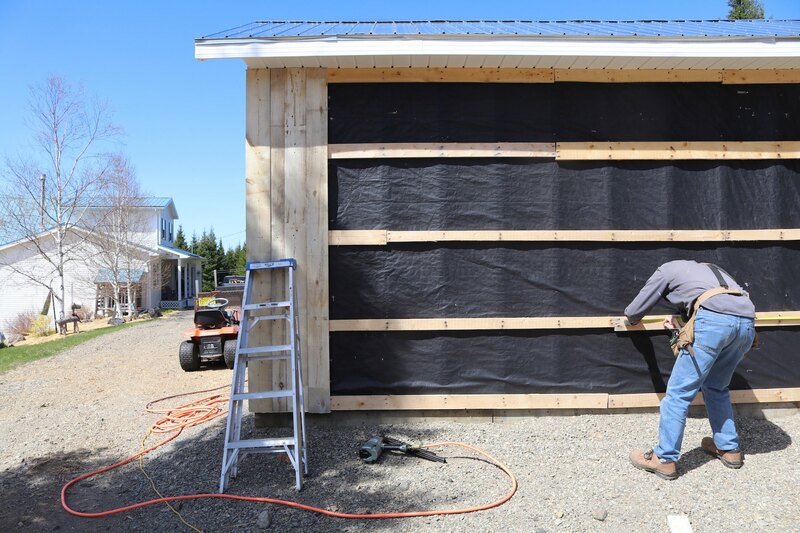 Next up will be the second long wall, plus the gable on the back and front. Then the door will be last. Hopefully by Friday all siding and gable ends will be finished. I said it again!